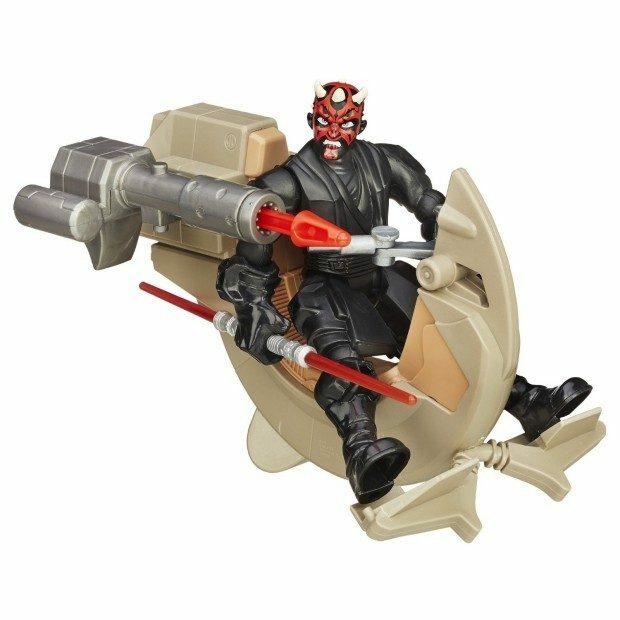 Star Wars Hero Mashers Sith Speeder and Darth Maul Just $7.07 (Reg $22)! You are here: Home / Great Deals / Amazon Deals / Star Wars Hero Mashers Sith Speeder and Darth Maul Just $7.07 (Reg $22)! Here’s a great Amazon deal! Order the Star Wars Hero Mashers Sith Speeder and Darth Maul for Just $7.07 (Reg $22)! This item is available because of the Add-on program and ships with qualifying orders over $25. Includes vehicles, figure, accessory, and 3 accessories.